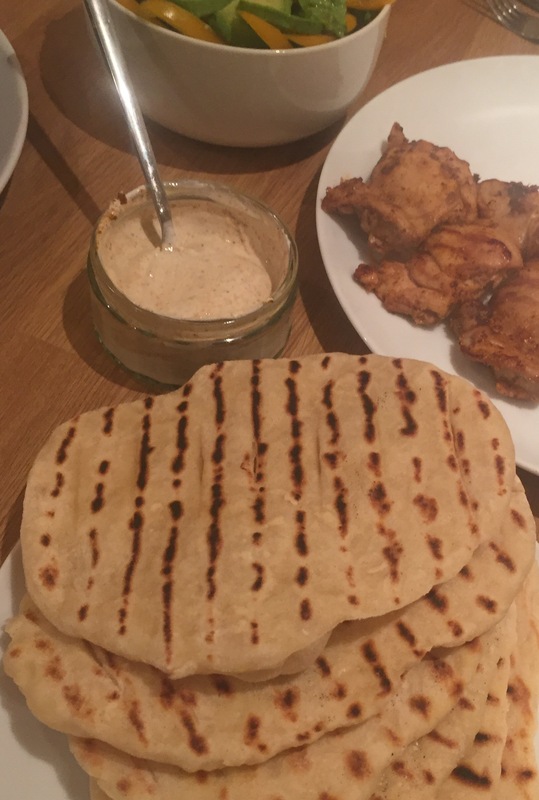 One of my favourite meals is made-up of some sort of spiced meat, a fresh crunchy salad, a delicious dip or chutney and some sort of flatbread or pitta. It does make for a messy way of eating, but who doesn’t like to get their hands a bit dirty every now and again? It feels like a really basic but delicious way to eat; every bite slightly different. 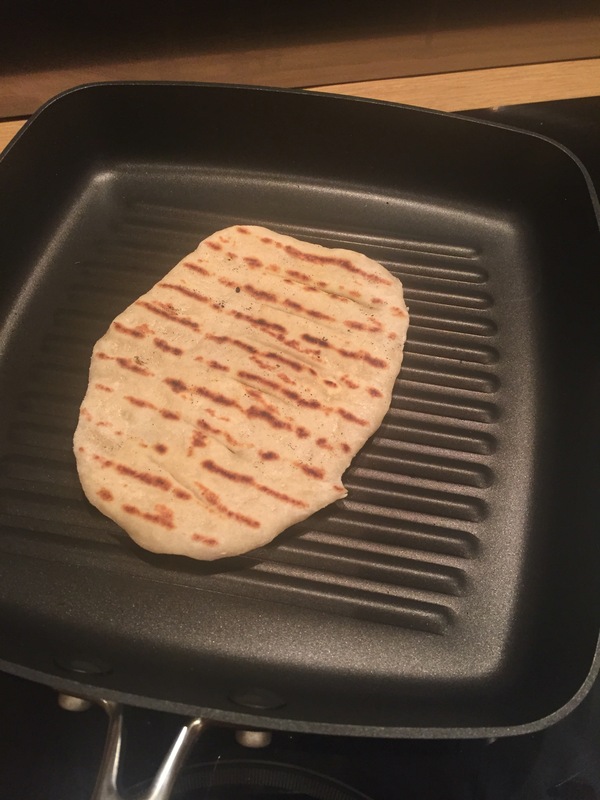 These flatbreads are great in that sort of setting, or make a really impressive replacement for naan bread if you want to make your own but don’t have the time for yeast to get involved. If you wanted to serve them up as a side dish, give them some herby or garlic butter and serve warm. They’re simple to make too, with the most time consuming part being cooking them (which is why I’ve kept the recipe small) but if you’re having a party you won’t mind the extra time to double or triple the quantities. Now I want to eat more of these…. You’ll also need a bowl, a knife and a griddle pan. 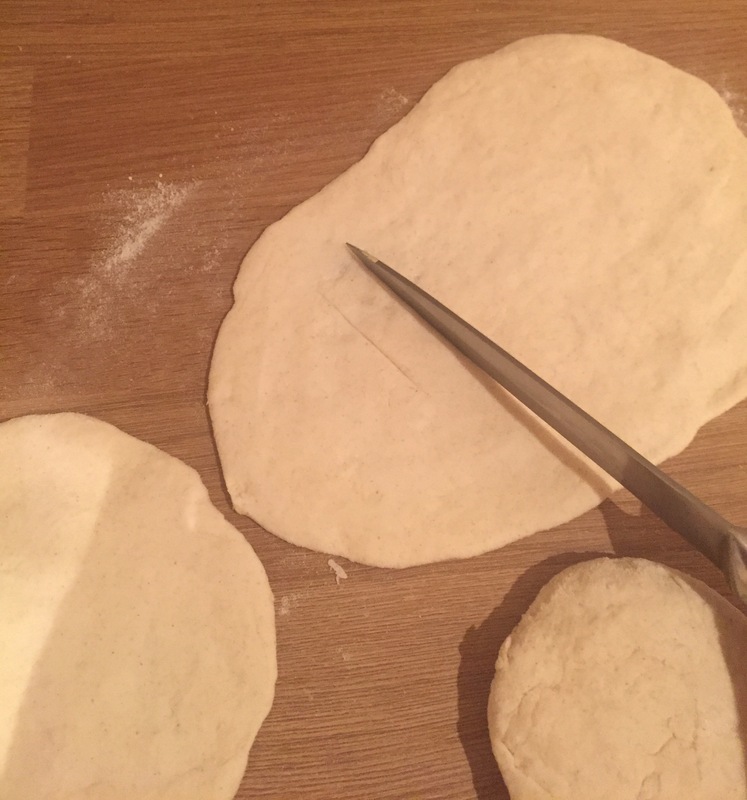 You can use a rolling pin if you want but I think spreading them out by hand leaves them looking a bit more rough and ready (which is what you want from a flatbread). 1. 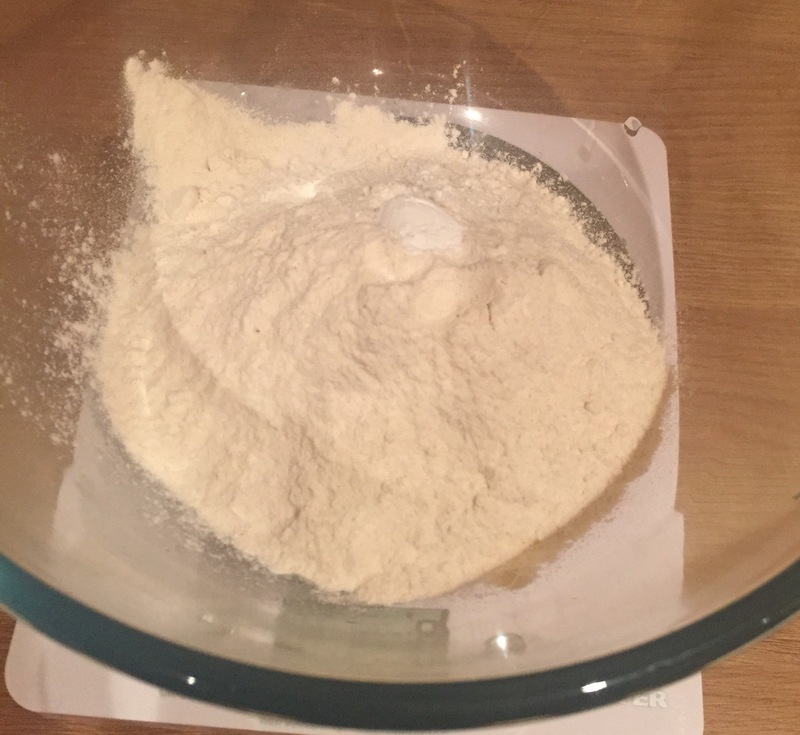 Weigh out the flour, salt and baking powder in a nice large bowl. 2. 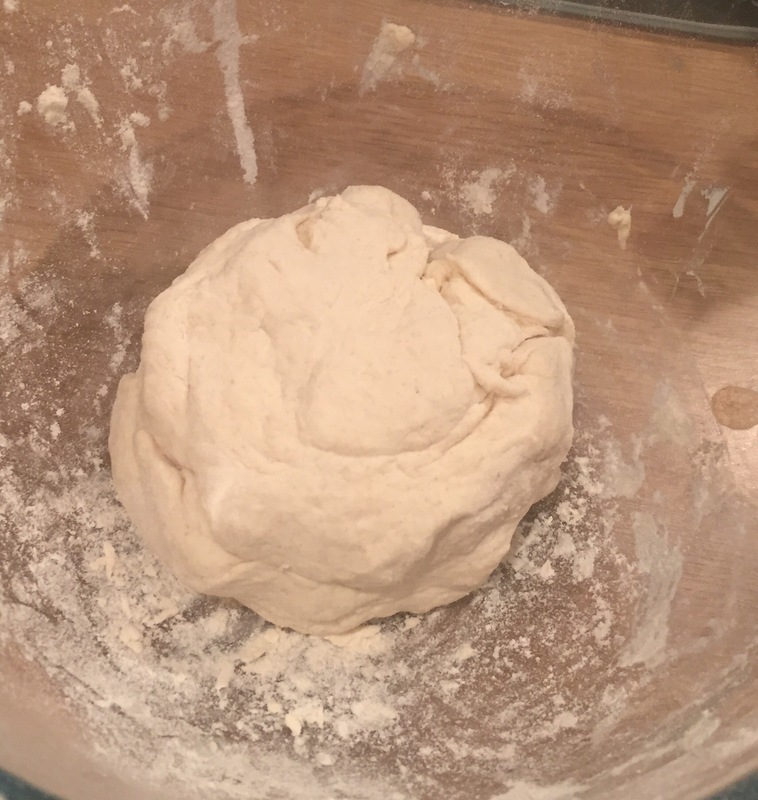 Add the yoghurt and mix everything together, kneading gently until the ingredients form a nice dough. Don’t overwork it though. Think pastry, not bread. 3. 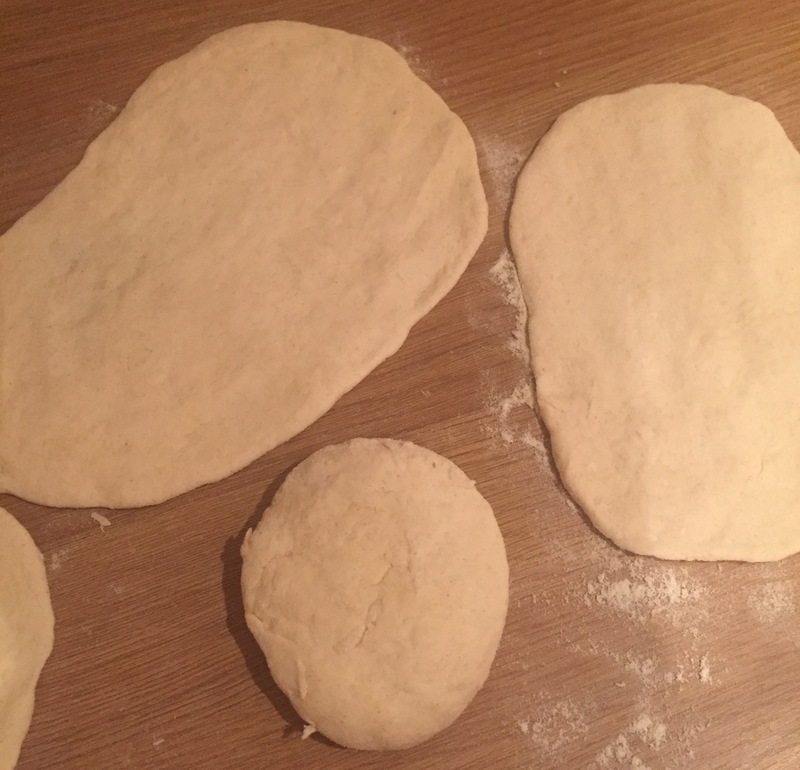 Flour a clean board or worktop and roll the dough into 6 even balls. 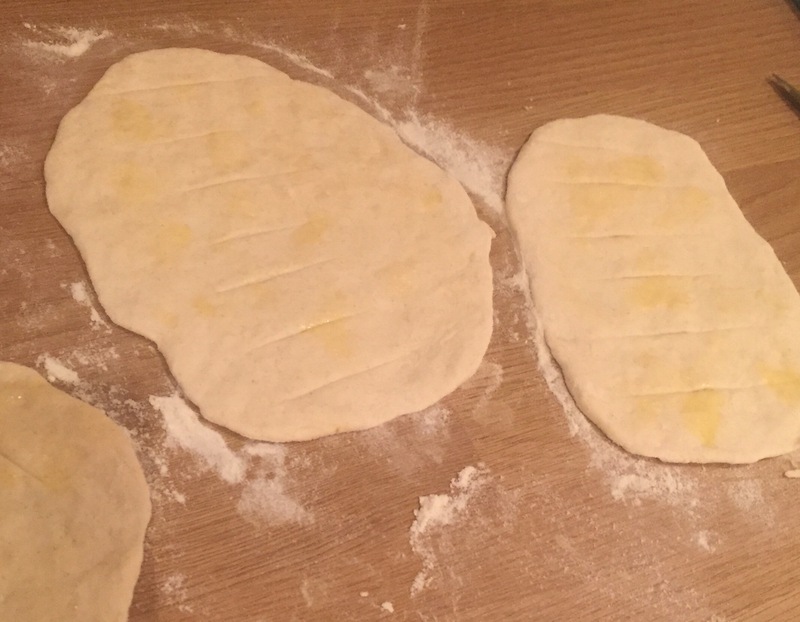 Flatten them with your hands or a rolling pin to about 1/4 cm thick. 4. Optionally, use a small, sharp knife to score shallow width-wide lines along the length of the bread and gently oil. 5. 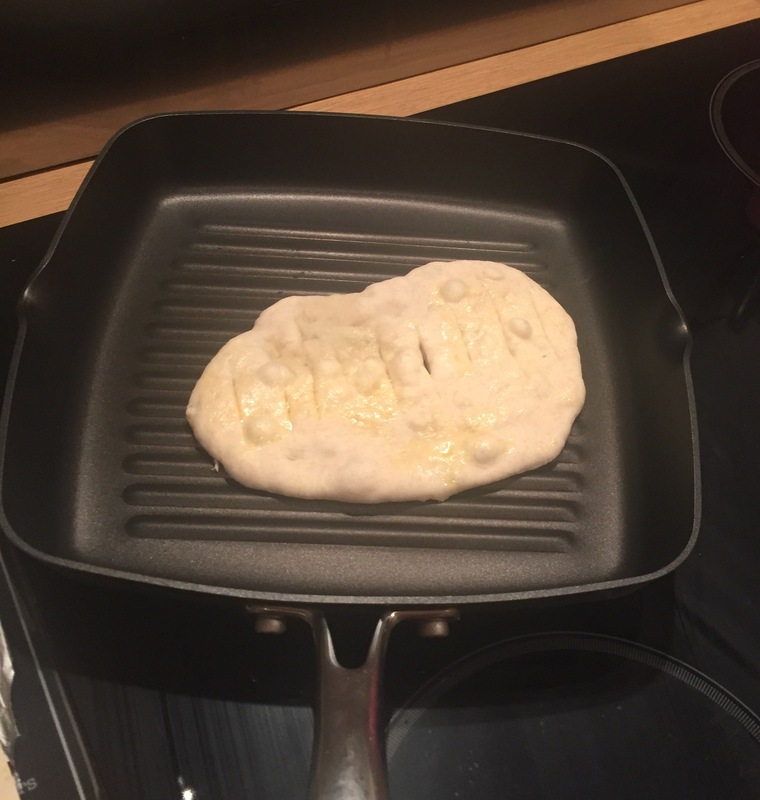 Put a dry griddle pan on a high heat hob, then place one bread in at a time. When they bubble on the up-facing side, like below, turn and cook on the other side. They will only need a few minutes, until a little puffed up. 6. When the lines look like this on each side, remove from the heat and set aside. Repeat with the rest of the breads. Serve with flavoured butter or lots of tasty toppings!